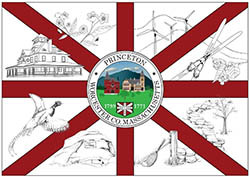 Community members in Princeton, Massachusetts, voted on May 14th to proceed with planning for a next-generation fiber network. The picturesque New England community voted to spend $10,000 on a system design and to establish an entity to operate the network in the future, if the community decides to proceed with the investment. According to News Telegram story, the question passed by more than the required two-thirds majority at 274-61. Earlier this year, the Princeton Broadband Committee distributed a survey to residents. Results showed the people of Princeton desperately want something better than existing DSL, satellite, wireless or dial-up. School's must now connect with expensive T1 connections and property values suffer due to the lack of broadband. Telecommuting is not an option in Princeton. The design should be completed this summer, opening the way for the next step in the process. Voters will need to approve by a two-thirds majority a request to borrow funds and the establishment of the town broadband entity.